Dean Creek Elk Viewing Area is located on Highway 38 east of Reedsport, Oregon on the Southern Oregon Coast. 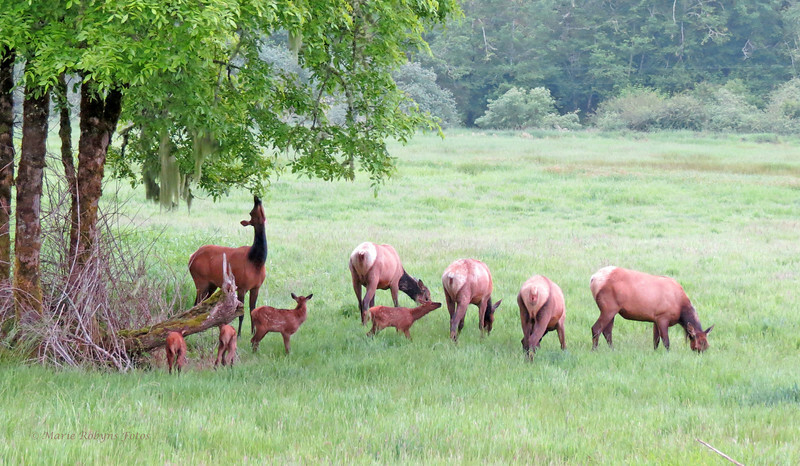 As cow elk give birth to their calves, they form a community apart from the rest of the herd. The cow elk mother all of the calves and keep a close watch on their own. The calves play with each other and investigate their surroundings. Cow elk grazing after giving birth at Dean Creek Elk Viewing Area. Photographed June 1, 2012 at 5:17 am.